﻿ Who is Ship Jana Sena Is Going To Sink? Who's Ship Jana Sena Is Going To Sink? Political Analysts say, Jana Sena Party is a King Maker before the elections not post the elections. Why because, Pawan Kalyan is capable of making one among TDP and YCP lose the elections though he mayn't win the required number of seats to emerge as a Real King Maker. Jana Sena Party have good presence in Coastal Andhra Region where TDP won majority of the seats in 2014 Elections. It, however, appears so weak in Rayalaseema Region where YCP dominated in 2014 Polls. That itself is a clear indication of who will be paying a huge price. JSP isn't even in a position fielded MP Candidate in Hindupur Constituency. The new party made it's presence felt only in few segments in Rayalaseema District (Tirupati, Anantapur Urban, Nandyal, Dharmavaram). 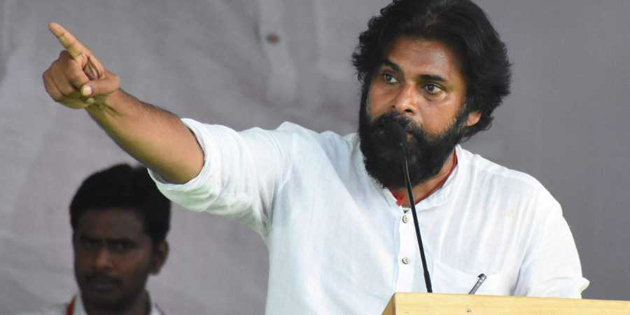 In most of the constituencies in Godavari Districts and Visakha, Jana Sena affected the winning chances of TDP and pushed it to 3rd position as well. This isn't a good sign at all for the Ruling Party. As per an estimate, 80 out of every 100 votes polled for Jana Sena belongs to TDP. Remaining 20 are that of YCP's.